This report has been applauded by numerous LinkedIn professionals and recruiters as having excellent information and being well worth the read. Most people make these simple errors while looking for a job that, while seemingly small, can significantly hurt their chances. 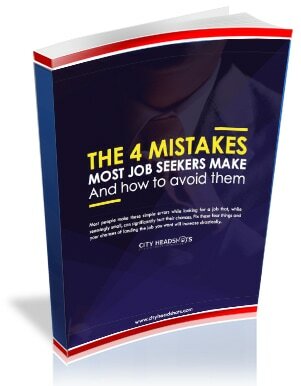 Fix these four things and your chances of landing the job you want will increase drastically. We have packages that range in price depending on your needs. Click here to learn more about the studio and our packages.